Supports 70 camera brands of IP cameras. *To optimize the recording performance, it is recommended to keep the system CPU loading under 80% after complete all settings. Main factors of CPU consuming are video transcode, Advance IVS, local display and smart guard. Please refer to NUUO Calculator on http://support.nuuo.com/calculator/ for performance estimation. **To optimize the recording performance, it is recommended to keep the system CPU loading under 80% after complete all settings. 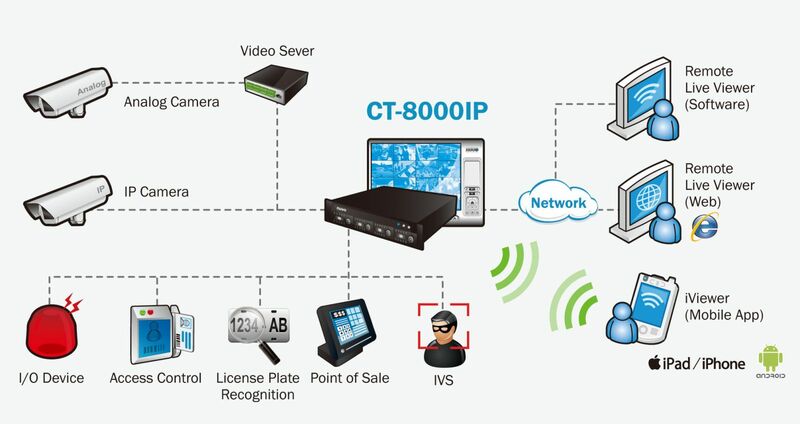 Main factors of CPU consuming are video transcode, Advance IVS, local display and smart guard. Please refer to NUUO Calculator on http://www.nuuo.com/calculator/# for performance estimation.